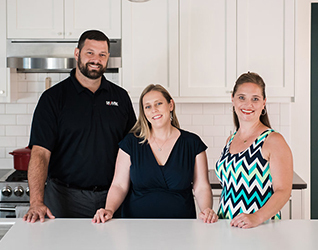 The Adriane Lau Team at RE/MAX Real Estate Professionals is devoted to empowering every home buyer or seller with the knowledge they need to make the best choice for their family. We know that the decision to buy or sell is very personal and each person has a different story, unique needs, and individual desires. 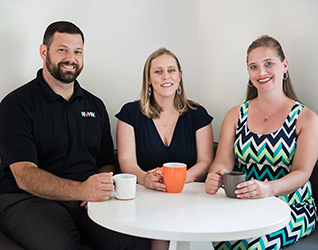 As your real estate agents, we will be your sounding board, your voice of reason, and your biggest resource as you navigate through the home buying or selling process. It is not our job to tell you if the yard is the right size or if the offer it too low...it's our job to listen and make sure you are educated enough to know if the yard is the right size for you and if the offer is the right one compared to what else has sold. Our promise to you is that you will not learn anything new at the closing table, but we also promise you will learn tremendous amounts as we go through the process of buying or selling your home. With decades of experience with Greater Lansing Real Estate, our team is looking forward to passing along our knowledge to you and answering questions you didn't even know you had. Do you qualify for a transfer tax exemption? Can you get a reissue credit for your title policy? Is your condo complex FHA approved? How will the Rivertrail extension affect your home's value? What about the proposed East Lansing income tax? Come along with us and let's learn something together! Find out more about Adriane Lau, and see what her clients have to say about working with her.